Mother-of-two Zara was competing on Saturday. Source: Getty. Back in 2o16, when Her Majesty the Queen posed for a photograph with all five of her great-grandchildren to mark her 90th birthday, it was then two-year-old Mia Tindall, standing front and centre tightly grasping the monarch’s handbag, who garnered the most attention. Now the five-year-old daughter of Zara and rugby star Mike Tindall has stolen the show once again, as she showed off her playful side during a family day out at the Gatcombe Horse Trials at Gatcombe Park, the country home of the Princess Royal. 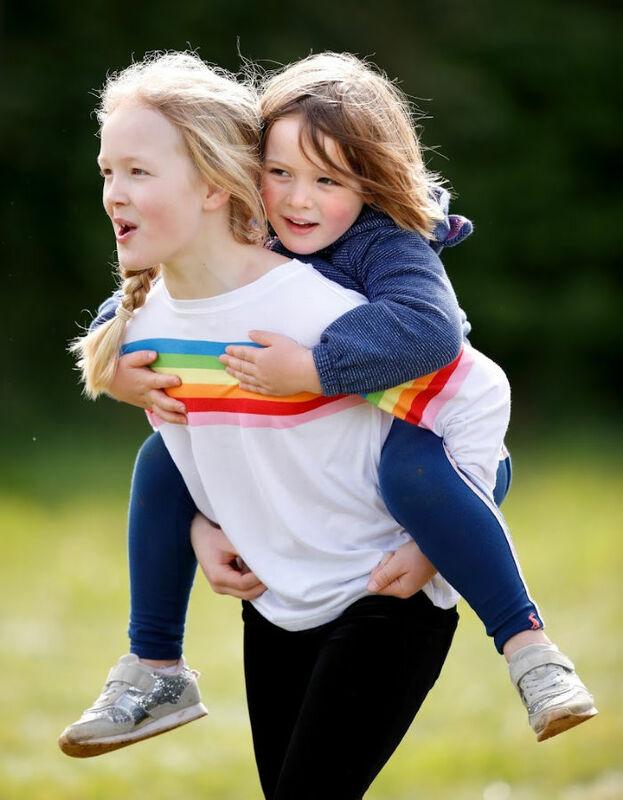 Mia giggled and laughed as she played with her older cousins Isla and Savannah Phillips – the daughters of Peter and Autumn Phillips – before hopping on to eight-year-old Savannah’s back for a ride. The five-year-old played with her older cousins Isla and Savannah Phillips. Source: Getty. The royals were out in force to cheer on 37-year-old Zara as she competed in Saturday’s events, with the junior royal’s mother Princess Anne even making an appearance with one of her beloved pooches. 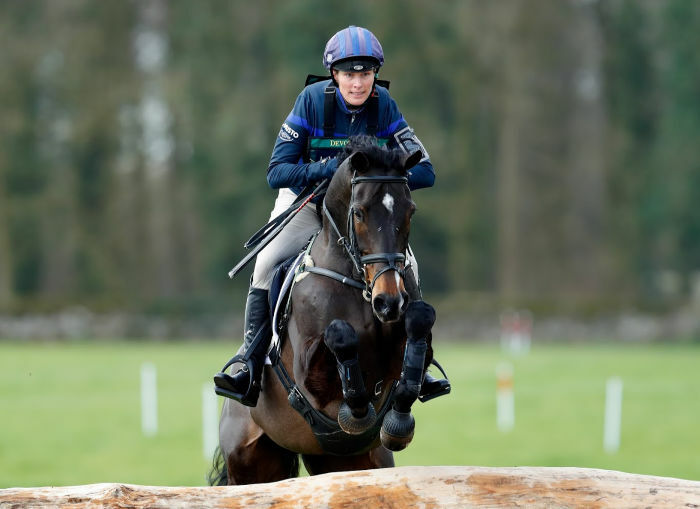 Talented rider Zara, riding horse Gladstone, took part in the event, which is now in its 26th, alongside competitors from 21 nations. The two-day event encompasses dressage, show jumping and different cross-country phases. Zara won a silver medal at the 2012 Summer Olympics. Source: Getty. The family outing comes just one week after the christening of Zara and Mike’s second daughter together, Lena Elizabeth Tindall, who was born in June last year. Prior to falling pregnant with Lena, Zara had spokenly candidly about suffering a second miscarriage. Speaking to The Times in June 2018, the Queen’s granddaughter opened up about the pain of losing a second baby just months after she publicly announced she had miscarried in December 2016. Did you know Zara Tindall was a talented equestrian? Do you like to see photos of the youngest members of the royal family?